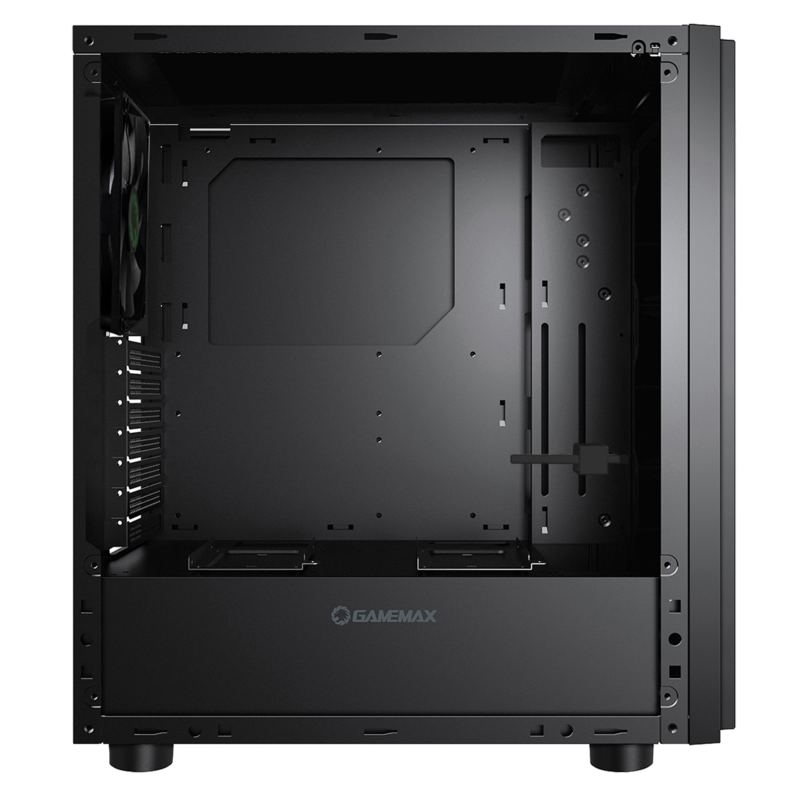 Brand new for 2018 Game Max are proud to introduce the well-built Ghost Silent Edition Gaming Case, with sound-dampening materials on top, front and both side panels. Optimally designed for silent computing with high density noise reduction. 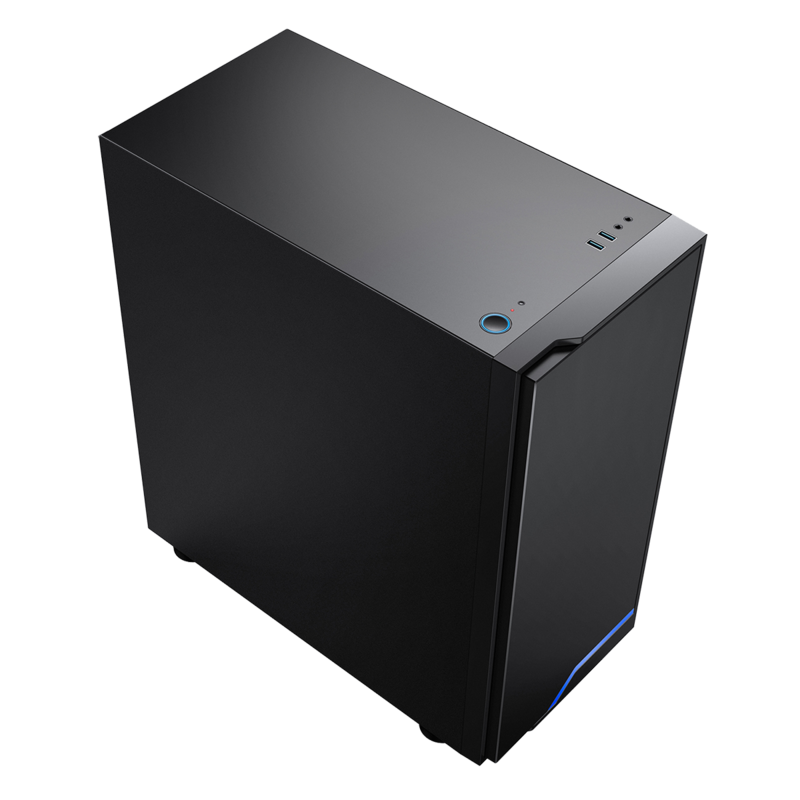 The unique front panel has a sleek, modern and beautiful design with a blue LED light though it may seem boring compared with a gaming build, but many of us have fallen in love with the simple yet unique look of the Ghost. The chassis materials feel very sturdy and heavy at times, especially when you start to build it up with more high-end components. Fit up to four fans with one black fan included at the back, ultimately satisfying any gamer’s aesthetic needs. Design – The Ghost – professional and smartly designed for silent computing, with internal high-density noise-reduction, leaving the exterior sleek & modern to take the appearance to the next level. 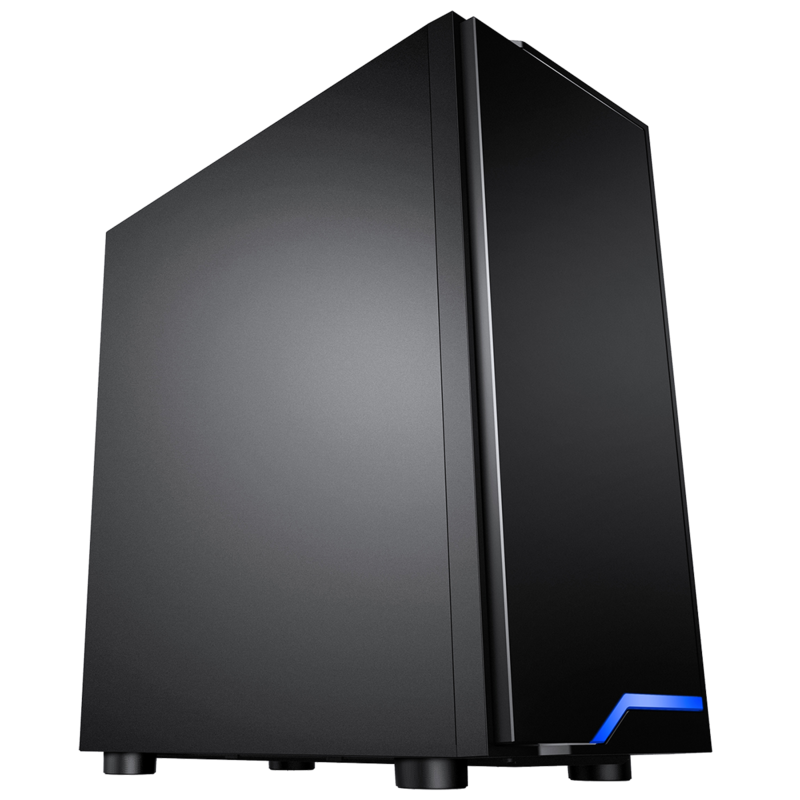 Silent Edition Side Panel – Sound-dampening materials are built into the front, top and both side panels – designed for silent computing with high-density noise-reduction. 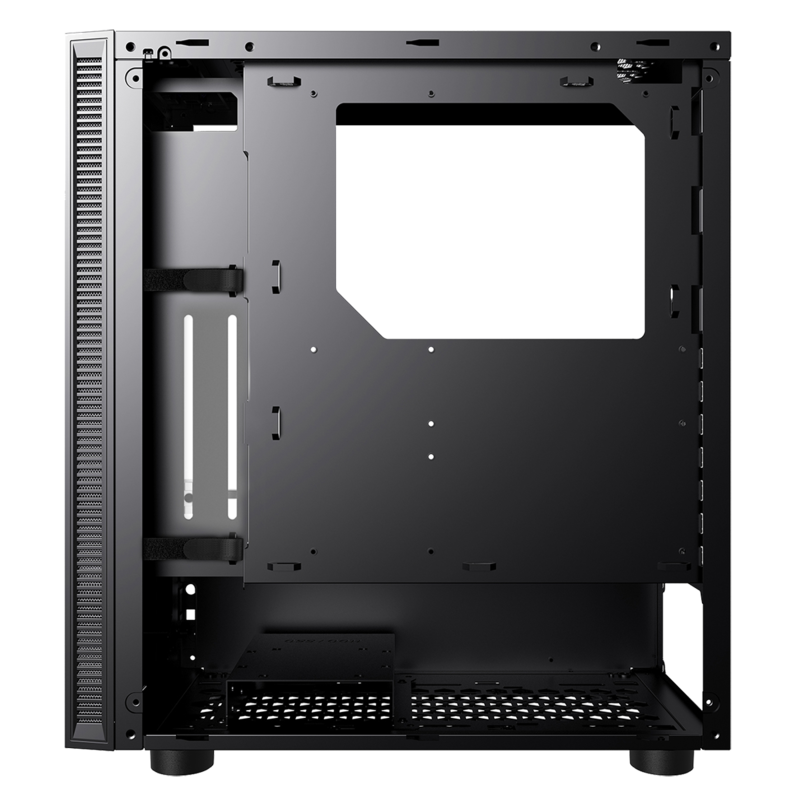 Cooling Fan Support – The Ghost can support up to 4 fans, with 1 x 140mm black fan at the back to reduce any overheating of your internal components. Water-Cooling Support – As well as being able to fit up to four fans you can enhance your cooling further with room for up to a 280mm radiator at the front and room for a 120mm/140mm radiator at the back offering extensive cooling support. Removable Dust Filter – A dust filter on the bottom of the Ghost helps to prevent dust from getting into your build and helps improve the performance of your chassis. I\O Ports – The Ghost comes with super speed 2 USB3.0 ports and HD audio which are conveniently located on the top right-hand side for easy user access.